Just in time for all your Christmas and Holiday shopping, the Friends of Cedars of Lebanon State Park has enrolled in the Org Smile Amazon.com program. For those of you who are unfamiliar with Org Amazon Smile, it is a program created by Amazon.com that contributes money to qualifying not-for-profit organizations. It costs nothing to participate in this program, and your purchases cost exactly the same amount whether you use our link or not. The way it works is, when you use a specific URL to access the Amazon.com website and you purchase qualifying items, Amazon.com will donate 0.5% of the purchase price to the Friends of Cedars of Lebanon State Park. Once you choose Friends of Cedars of Lebanon State Park as your charity of choice ( click here to do that: http://smile.amazon.com/ch/47-1379748 ), then every time you log on to Amazon using http://smile.amazon.com and make a qualifying purchase, you will be supporting our group and Park. And by the way, this is not just for the holidays. It works year ’round. So go! Buy something TODAY! 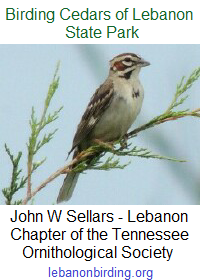 This entry was posted in Announcement and tagged cedar glade, Cedars of Lebanon State Park, FoCoLSP, friends of cedars of lebanon, Lebanon TN, Tennessee State Parks, wilson county. Bookmark the permalink.